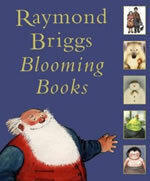 For over 30 years, international best selling writer/illustrator Raymond Briggs (1934- ) has been producing books in a strip cartoon format using his own unique idiosyncratic approach. Born in Wimbledon Park, London he attended Wimbledon Art School. After graduating from the Slade School of Fine Art in 1957 he became a freelance illustrator, book designer and writer as well as teaching illustration at the Brighton College of Art. 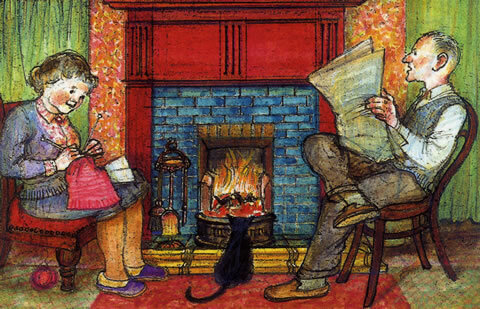 His work demonstrates the charm and versatility of the comic medium ranging from classic children’s stories (The Snowman, Fungus The Bogeyman, The Bear, Ug) to darker and more personal tales, such as the chilling post nuclear warning When The Wind Blows or the tender biography of his late parents Ethel & Ernest. Although he retired from teaching at Brighton in 1987, he lives in the Sussex countryside and is still working on future book releases. He is a British national institution. Utterly original, deeply moving and very funny, Raymond Briggs tells the story of his parents’ marriage from their first, chance encounter to their deaths. Ethel, a lady’s maid, meets Ernest, a milkman, in 1928. They spend their whole lives in the same house. Nothing is invented, nothing embroidered - this is the reality of two decent, ordinary lives, of two people. The book is also social history: we see the dark days of the Second World War, the birth of the Welfare State, the advent of television, and all the changes that were so exhilarating and bewildering for Ethel and Ernest to experience as the brought up their only son. It serves both as a document of social history and as a son’s tender remembrance. 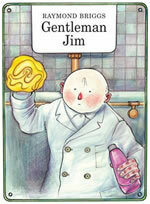 Published when he was 64, it was a supreme capping of a great career, a masterpiece in any medium. It would be unfair of us to ask him to go any higher than that. It is a biography of his parents and at the same time an account of their times, seen through the particularity of their world view. Briggs himself is in it, of course. The scene of him viewing his mother body in the hospital is almost too moving to look at. The artist fastens upon the distressing detail of the can of industrial scouring preparation located on the table beside the trolley on which the body rests. 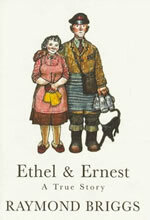 ...his memoir, Ethel And Ernest, stands in my mind as one of the most moving examples of what comics in the gentle hands of a master are capable. Brigg’s techniques are deceptively simple, yet terribly moving. 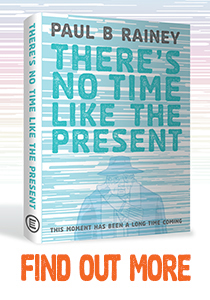 The book is a considerable achievement, both simple and complex, emotional and dispassionate. I wanted to do something about the past and that house, because it was such a big part of my life. Apart from my National Service, I spent my first 25 years living there… I can remember so much - even the wallpaper pattern in the airing cupboard… I wanted to particularize it. So I had to focus so closely on every detail that sometimes I’d draw things I’d forgotten I knew. Like the basket where the dirty washing went, under the sink… what the tea tin looked like… the catch on the cupboard door of the dresser, the way my dad always pulled out the drawer when he sat in his regular seat in the kitchen for an arm rest. I put that in. This story was written when Cold War tension was at its height, and the government issued advice leaflets on what to do in the event of a nuclear war. An elderly couple, Jim and Hilda Blogg, try to follow the instructions and prepare a shelter, though not really understanding what is going on. They remember the Second World War. The nuclear attack takes place, and they struggle to cope with radiation sickness. In the end they comfort themselves with fragments of the psalms and the poem The Charge of the Light Brigade. 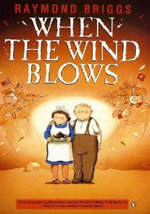 A copy of When The Wind Blows was sent to every member of the House of Commons. The awful power of this quietly damning piece lies in the Bloggs’ continuous, often banal chatter, their need to speak, their need for company, to make the unbearable bearable. This is one of the greatest comic narratives ever written. It’s such an affecting piece, you’ll cry at the end of it. I was watching a Panorama documentary on TV about nuclear contingency planning. It affected me strongly and I thought ‘Here’s my next book’. I wanted to see if a nuclear attack does happen, what do people actually do? I felt very strongly about government propaganda. The authorities were playing it down, pretending it’s like the second world war, when it jolly well wasn’t. I wanted people to know what’s involved, then they could make up their minds. It is remarkable that an artist could be such an innovator, so ahead of the crowd and could have produced such an impressive list of comics novels and yet still somehow be overlooked when people talk about ‘the graphic novel’. An exploration of Raymond Brigg’s work from the time he left art school and began illustrating other people’s texts, right up to his most recent publications. Illustrations and extracts from his work are accompanied by a text reviewing Raymond’s intentions and indicating the underlying philosophy of his themes. This is the ideal kind of book I should like to see about a favourite artist, and the best since the book on Herriman by O’Donnell & company. It has the same balance as that excellent volume, about 100 pages of illustrated commentary, in tandem with twice as many pages of complete and readable works by the artist being celebrated - and celebrated is the correct word for the present book, a life’s retrospective of the beloved author of Ethel and Ernest... With Briggs now nearly 70, we might feel that the celebration is overdue, except that we would not normally expect our art heroes to be treated so fairly in their lifetimes.